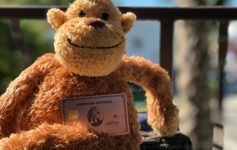 The Public Welcome offer on the Amex Platinum is currently 60k, and that’s true for most referrals as well; however, I was helping my parents populate referral links today and stumbled upon a 75k Amex Platinum referral. That’s pretty awesome, especially considering the individual who refers also gets 10-20k points. This is YMMV because I tried using the referral link in multiple browsers and it didn’t always work so this is more of an effort to make you aware that the offer could be available, but it’s not guaranteed to populate. Is this an all time high? People have gotten 100k targeted offers, but 75k is really great. Is it worth the $550 annual fee? Great question and you need to do the math, we wrote an article on our 10 reasons why we think is it. I’d suggest you check it out.